The old year has yet to wrap up and we’re already casting the crystal ball into the new year ahead. For your consideration, fourteen of the most interesting offerings to start 2013, ranging from newspaper strip masters of the past to webcomics innovators of today, taking in some Great British Comics and some first-class translations from Belgium, Japan and France to boot. 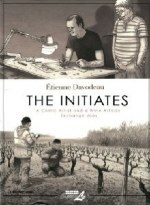 I’m especially pleased to see the long-overdue, English-language debut of Etienne Davodeau, whose NBM graphic novel The Initiates is probably my highlight this month. Take a browse and see what strikes your fancy for your New Year’s Comics-Reading Resolutions! Shauna. Charlotte. Mildred. Three schoolgirl sleuths. Jack. Linton. Sonny. Three schoolboy investigators. Tackleford. One mid-sized city with a history of countless mysteries. Is there enough room at Griswalds Grammar School for two groups of kid detectives? There better be because once these kids set their sights on solving a mystery there’s nothing that can derail them. Nothing, except maybe gossip, classwork, new football player cards, torment from siblings, stolen jackets, teacher’s wives…John Allison’s work has been a solid favourite with our blog crew for a long time - this is a hardcover collection we want on our shelves! To get a flavour of this hit UK webcomic, read it online from the very beginning. 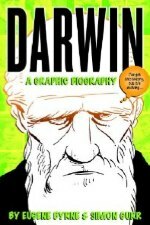 Darwin: A Graphic Biography is an inspiring expedition into the physical and intellectual adventures of Charles Darwin. Presenting Darwin’s life in a smart and entertaining graphic novel, it attempts to not only educate the reader about Darwin but also the scientific world of the 1800s. The graphic medium is ideal for recreating a very specific time frame, succeeding in placing the reader right next to a young Darwin on a “beetling” expedition. With specimens in both hands, and anxious to get another, Darwin ends up stuffing the third beetle into his mouth. Darwin’s life presented in this form is an inspirational tale for kids of all ages. They’ll be sure to identify with a curious young Darwin finding his way on youthful adventures in the fields near his house. The ups, downs, and near-misses of Darwin’s youth are portrayed honestly and without foreshadowing of his later fame. This is a key point for younger readers: that Darwin wasn’t somehow predestined to greatness. He was curious, patient, and meticulous. He persevered—a great lesson about what science is all about. Previously published in the UK in 2009. See a range of sample pages here. Clueless, naive, full of dreams… and unemployed. Fresh out of art school, our hero Dino is ready to start a new chapter in his life, but can’t figure out how, and struggles to find his identity as an artist. With a little encouragement from a classmate, he sets out on a fantastic inner journey to wipe the dust off his teenage obsessions and reignite his passion. 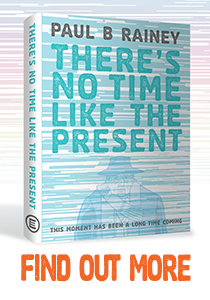 Blending fact and fiction, past and present, pencil and paint, debut author Dino Pai brings a wide range of voices and influences to bear on the most intimate story in his heart, in this Xeric Award-winning graphic novel. Watch his Vimeo promo trailer. Dino Pai’s sweet and surprising debut works at a number of levels: it is a fairy tale, an ode to lost love, and a young artist’s search for his place in the world. What I find most refreshing and compelling about this debut is the way Dino uses shifting drawing styles and modes of storytelling to a convey the emotional and philosophical turmoil of his young protagonist. Follow Michael the elephant as he arrives to the city known as District 14, a labyrinthine metropolis where humans, animals and aliens all co-exist. A unique anthropomorphic mystery with an intricate plot and a fantastic cast of characters, this incredible French series is finally making its way across the Atlantic. 304-page hardcover. One of the manga world’s most intriguing artists returns with a science-fiction tour de force which combines post-apocalyptic action, modern sci-fi video game tropes, and a traditional Japanese aesthetic. 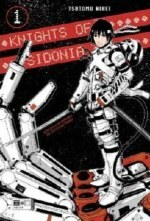 In his follow-up from the hit Biomega series, Tsutomu Nihei tackles the world of hard science-fiction by creating a modern space comedy inspired by the genre’s hits from his youth. Tom Batiuk spent several years as a middle school art teacher before creating the comic strip Funky Winkerbean in 1972. Originally a “gag-a-day” comic strip that portrayed life in high school, Funky has evolved into a mature series of real-life stories examining such social issues as teen dating abuse, teen pregnancy, teen suicide, violence in schools, the war in the Middle East, alcoholism, divorce, and cancer. In 1999, Lisa Moore, one of Funky’s friends and a main character, discovered she had breast cancer. Batiuk, unsure about dealing with such a serious subject on the funny pages, decided to go ahead with the story line. 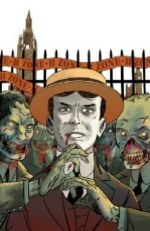 He approached the topic with the idea that mixing humor with serious and real themes heightens the reader’s interest. Lisa and husband Les faced the same physical, psychological, and social issues as anyone else dealing with the disease. After a mastectomy and chemotherapy, Lisa was cancer free. She finished her law degree, opened a practice, and had a baby daughter, Summer. Then, in the spring of 2006, the cancer returned and metastasized. 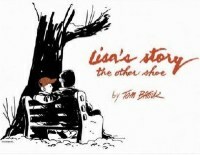 Lisa’s Story: The Other Shoe is a collection of both the 1999 comic strips on Lisa’s initial battle with cancer and the current series examining her struggle with the disease and its outcome. Additionally, it contains resource material on breast cancer, including early detection, information sources, support systems, and health care. Young lovers Tubby and Vim want to escape - escape the mistakes they’ve made, the lives they’ve lived, and the dirty city weighing them down. Their plan is simple - all they have to do is rip-off Tubby’s pals, the One Tricks, the toughest street gang in LA! If they pull it off, they’re set for life. If not, their lives won’t matter much anyway. 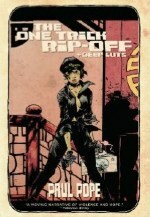 From Eisner Award-winning writer/artist Paul Pope (Batman: Year 100, THB, Heavy Liquid, 100%) and presented for the first time in color by Jamie Grant (All-Star Superman), One Trick Rip-Off / Deep Cuts is 288-pages of raw power, of which over 150-pages are comprised of new, rare, and never-before-seen stories created during Pope’s time traveling the world in the ‘90s. Included in the Deep Cuts section is a bounty of unpublished and rare work Pope did in the ‘90s, including the legendary Supertrouble manga, created for Kodansha in Japan, appearing here in print for the first time. Everyone knows a Feiffer illustration when they see one: simple, black lines depict images of dancers leaping across the page, characters argue back and forth, or an exasperated expression belies psychological insight. How such images became iconic and the story of Feiffer’s artistic influence is explored in Out of Line: The Art of Jules Feiffer, the first illustrated biography of this celebrated artist. Over Feiffer’s prolific seventy year career, his work has displayed a remarkable ability to move between biting satire about politics, love, marriage and religion, and the hopeful, fanciful and sometimes frightened perspective of a child. Feiffer’s varied career began when he worked as assistant to the comic artist Will Eisner and later developed his own style to encompass many different mediums, including children’s books (The Phantom Tollbooth), plays (Little Murders), movies (Carnal Knowledge and Popeye) and comic strips (most notably in the Village Voice for 42 years). Feiffer has written numerous children’s books, plays and comic strips. His extraordinary career has been celebrated with such awards as an Academy Award for Best Short Subject Cartoon (1961), the Special George Polk Memorial Award (1961), a Pulitzer Prize for editorial cartooning (1986) and the Milton Caniff Lifetime Achievement Award (2003), among many others. 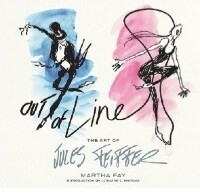 Out of Line: The Art of Jules Feiffer is a long awaited overview of Feiffer’s career, providing a revealing glimpse into Feiffer’s creative process, and his role as America’s foremost Renaissance man of the arts. “Before you write me off as a delusional psycho, think about what it’s like to be thrown into a situation where everyone knows everyone . 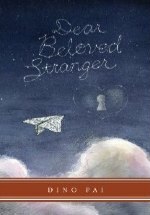 . . and no one knows you.” Sadie has the perfect plan to snag some friends when she transfers to Plainfield High—pretend to have a peanut allergy. But what happens when you have to hand in that student health form your unsuspecting mom was supposed to fill out? And what if your new friends want to come over and your mom serves them snacks? (Peanut butter sandwich, anyone?) And then there’s the bake sale, when your teacher thinks you ate a brownie with peanuts. 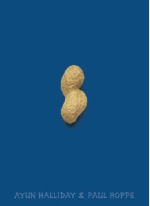 Graphic coming-of-age novels have huge cross-over potential, and Peanut is sure to appeal to adults and teens alike. Peak at some sample spreads here. A satirical spy adventure set in an Asterix-style anachronistic Caesar-epoch fantasy Rome featuring both billboards and vampires. Restored and recoloured digitally, the book will also feature a analytical/contextual essay by the French art and comics critic, Pierre Sterckx discussing the work and its historical context as well as unseen archival art reproductions, sketches and photographs. Check out some English-language background on the late, great Belgian, Peellaert. In the late 1910s, Sidney Smith developed a formula of the daily strip that would make The Gumps one of the most popular comics of the 1920s and himself one of the richest cartoonists of his day. By the end of the decade Sidney Smith’s The Gumps had secured a huge and loyal audience with a decade of melodrama, adventure, mystery, and comedy. So devoted were his readers, in fact, that they regularly wrote in to offer advice for his characters’ love lives and business decisions and they generally treated the characters as friends and family members. In 1928-29, with the launching of what would be his most famous story, “The Saga of Mary Gold,” Smith’s relationship to his readers would be tested as never before. Its heartbreaking conclusion would change comics forever. Here for the first time since the story made headlines across America in the spring of 1929, IDW reprints the saga that Hogan’s Alley magazine called “One of the Ten Biggest Events in Comics History” - a tale that has lost none of its power to captivate readers in the 21st Century. 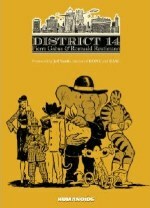 Library of American Comics Essentials reprints, in yearly volumes, the rare early daily newspaper strips that are essential to comics history, seminal strips that are unique creations in their own right, while also significantly contributing to the advancement of the medium. A graphic novel that explores the nature of one’s vocation, this book offers a look at the daily devotion to craft in two dissimilar professions. Étienne Davodeau is a comic artist—he doesn’t know much about the world of winemaking. Richard Leroy is a winemaker—he’s rarely even read comics. But filled with good will and curiosity, the two men exchange professions, and Étienne goes to work in Richard’s vineyards and cellar, while Richard, in return, leaps into the world of comics. Providing a true-life representation of how both professions work, this insightful book investigates two fascinating fields, exploring each man’s motivations and ultimately revealing that their endeavors and aspirations are not much different. Preview translated page here. Set mainly in America, with a backdrop of the 1954 race to break the four-minute mile, The Murder Mile is hardboiled detective fiction that follows the investigation into the murder of a fictional athlete attempting to break the world record. Investigator Daniel Stone must navigate frame-ups, conspiracies, cartels, Communism and bribes in his search for the answers surrounding runner Todd “The Phoenix Flyer” Naylor’s death. Paul Collicutt graduated in the 1980’s from Brighton College of Art with a BA Hons in Illustration. He won the Parent’s Choice Gold Award in America for children’s picture book, This Train which he wrote and illustrated (Farrar Straus & Giroux). Recently Paul created a series of graphic novels Robot City Adventures for younger readers (Templar). 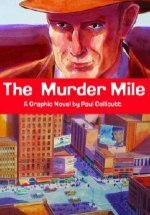 The Murder Mile is his first graphic novel for adult readers. It combines his love of painting with his keen interest in track and field. Paul was a reasonable but not outstanding runner and is now a qualified athletics coach and Chairman of Phoenix Athletics Club. In post-Victorian England, nearly everyone of the upper classes has voluntarily become a vampire in order to escape the lower classes who are all zombies. Into this simmering cauldron is thrust Chief Inspector George Suttle, a lonely detective who’s got the slowest beat in London: investigating murders in a world where everyone is already dead! When the body of a young aristocrat washes up on the banks of the Thames, Suttle’s quest for the truth will take him from the darkest sewers to the gleaming halls of power, and reveal the rotten heart at the center of this strange world.